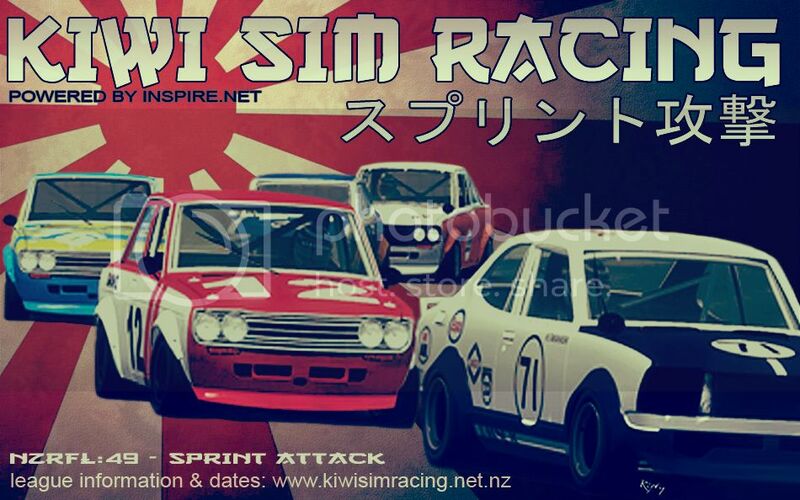 Round 1 of our Kiwi Sim Racing スプリント攻撃 - Sprint Attack Series is upon us!. Promising some great door to door action We Head to Toban Which should be a great circuit to kick off the series with a bang. Won't make it this week due to travelling for work. Is anyone else suffering from the " no mirrors" issue and if so, any idea how to fix it? Or shall I just go pure Italian on this? I had it last week....then it worked the next time I loaded it up it worked as per normal....not sure what the deal is. Also, is the right type of racing line?